How epic is this! This year’s BL’s Blast Off participants Lucky Draw presented by Surf Lakes is huge. How would you like to win a trip to the newly opened Surf Lake in Yeppoon, North Queensland? 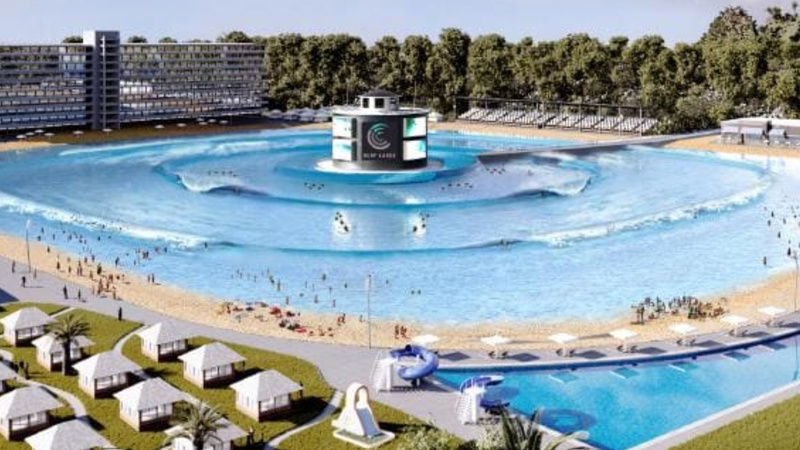 It will be Australia’s first wave pool and is expected to have waves in October. The great thing about this experience is that it is a ‘test pool’ and may never be opened to the public. Two lucky Blast Off groms, one boy and girl, plus their parent/guardian, will win a trip to Surf Lakes where they will be among the very first people in the world to surf it, with BL. How do you go in the draw? If you’re registered to surf in this year’s Hurley BL’s Blast Off presented by Beecraft, you’re in the draw. When will it be drawn? The two winners will be drawn on the beach at the event on Wednesday, 3rd October at 1 PM. * About Surf Lakes: Surf Lakes Limited has invented a revolutionary, proprietary method of producing high-quality surfing waves in a controlled lake environment. The Surf Lakes™ technology will be capable of producing a variety of waves that closely mimic natural ocean waves. Furthermore, because of the way Surf Lakes works, not only will it have the lowest energy cost per wave compared to other technologies, but be capable of producing up to 2,400 surfable waves per hour. To our knowledge, this is more output than any current or proposed wave technology around the world. READ MORE. Want A Great Christmas Present Idea? BL's BLAST OFF is Australia's largest youth surfing development event, run by 1988 World Champion Barton Lynch. In 2018, the 13th annual BL's Blast Off will run from Tuesday 2nd through Friday 5th October, at Palm Beach, Whale Beach or Avalon Beach NSW, conditions pending. 3 days ago by blsblastoff Schedule for day 2 Bali Blast Off - always subject to change. See you there! December 4, 2018 Want A Great Christmas Present Idea? Copyright © 2018 Barton Lynch. All Rights Reserved.